Ideally, we would like to find a book that is written by a well-respected, seasoned subject matter expert that has “walk the walk.” It will be a book that is clear enough for beginning project managers but substantial also for those who are experienced. It can discuss all aspects of the topic, from the principles to the practices, with plenty of real-world examples. The book will be thick enough but still very affordable. Ideally, It will be up-to-date, reflecting the latest standards and best practices, and popular to readers. It will be a book that deals with a relevant topic, related to the whole PM process, or focused on a single one, or something in between. It will be more exciting to read than a textbook, and will offer not only practical tools and tips but would also challenge the thinking of the reader to become resourceful and creative. We have not yet come across that single ideal book, but we have encountered several that have many of these sought-after characteristics in a combination of sorts. Here is a recommendation of ten books about project management in general rather than a book about a single performance domain or knowledge area. It is a list that the beginning or accidental project manager can quickly use, but also a selection that can help review and remind the experienced professional of the fundamentals. It is a healthy mix of theory, practice, reference, experience, templates, and perspective that will be a valuable companion in one’s career development. The order of the list is according to the release date of the books. A few have released newer or revised editions as well, and we have taken note of this. We will try our best to update our list. Feel free to send us your suggestions as well. From the PMI, the standards body that collects the knowledge and best practices for the PM field. This is the latest PMBOK Guide, published in September 2017, and reflects all the changes and updates needed for PMP certification. The paperback edition is priced at $68.45 and $65.03 for the Kindle version. 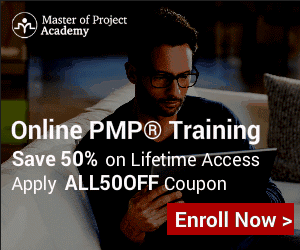 PMP and other PMI certification exam questions for the first/second quarter of 2018 will be based on this latest edition. We Reviewed this Book | View this Book on Amazon! Author Gregory Horine, PMP is an IT PM professional with over two decades of experience. The third edition was published in October 2012 and has 432 pages. The paperback costs about $16.65. A newer 4th edition has been published this February 2017. The book is for the relatively new professional who needs to hit the ground running. It covers the whole process cycle but focuses more on the planning, control, and execution of the project. It also has some tips on how to use the latest MS Project software and has many overview charts as guide. Eric Verzuh is the president of Versatile, a PM training and consulting company that started in 1990. His updated fourth edition book was published in December 2011. The book has 544 pages. A newer 5th edition has been published in November 2015, with a price of $18.79 for the paperback format. It will appeal to both new and experienced professionals for its comprehensive coverage that can serve as an introductory manual and desk reference. It offers forms and spreadsheets, tips in using MS Project, and covers new topics such as IT projects and agile techniques. Author Harold Kerzner, Ph.D., is a senior executive of IIL, a learning solutions company. Dr. Kerzner’s book has become a textbook for students of PM as well as professionals studying for a certification exam. The latest edition was published in February 2013. It has 1,296 pages and costs about $73.93. It is a comprehensive text of principles and practices which in this latest edition added more than 30 new sections on the different PM processes, including types of project closure, sponsorship, and teamwork. It is aligned with the PMI’s Body of Knowledge reference. Written by Paul Roberts, a seasoned project manager and the founding director of fifthday.com, a change management consultancy. The hardcover second edition was published in February 2013. It has 12 chapters and 368 pages. Aside from discussing the processes, the book puts emphasis first on the importance of getting the commitment of the whole organization and successfully engaging the project stakeholders. The rest of the book shows steps for managing the project throughout the process cycle, with useful flowcharts, diagrams and other tools. Stephen Barker and Rob Cole have about 35 years of PM experience between them. The third edition paperback was published in June 2012 by UK publisher Pearson. Their book has 200 pages. A revised 3rd edition has been published in December 2014, and the paperback is priced at $18.79. Based on experience, they shared in this book what makes a project successful, how to deliver what was promised, and how to stay on budget and on schedule. The authors also share their insight regarding methods, training, and associations. The book is written by Juana Clark Craig, PMP. It was published in November 2012 and has 138 pages. The paperback edition is priced at $11.47. This book is recommended for beginners in the PM field, accidental project managers, or those who have to manage a project just one time. It is a step-by-step guide in plain terminology, absent of the usual jargon. It also has worksheets and checklists for easy project execution. Author Kim Heldman, is a PMP since 2001 and has two decades of IT PM experience. This third edition paperback was published in May 2011 and contains 360 pages. It is priced at $22.52. It is considered one of the best introductory guide for the aspiring professional who is serious in understanding the essential fundamentals. The book covers project initiation up to closing, and has some sample forms and checklists that are usable. Terry Schmidt, PMP, is a management consultant, educator, strategy coach and founder of ManagementPro.com. The book was published in March 2009, but has remained relevant all these years. This hardcover book has 272 pages and is priced at $18.14. This book drives the reader to ask important questions first before haphazardly starting a project. It is also a book that offers a methodology to help achieve a goal no matter how complex it is. Author Scott Berkun is a veteran project leader, best selling author and speaker who has led software projects for Microsoft for a decade. The book was published in July 2008. This revised paperback edition has 410 pages and sells at $30.10. It is different than the usual PM book in terms of style because it is in the form of essays rather than the usual outlined structure. It offers insights about scheduling, decision making, leadership, strategy, and basically, how to make things happen. This ten best list is about options for the project professional. They can choose between the latest PMBOK Guide reference or the handy Project Management Lite. Some in their studies may prefer Dr. Kerzner’s textbook, while others may find Scott Berkun’s style of writing better. In the end, we hope that any of these books can be of help and provide a solution to a project professional’s need in a particular setting or circumstance. Previous story Work Breakdown Structure (WBS): Top-down or Bottom-up?